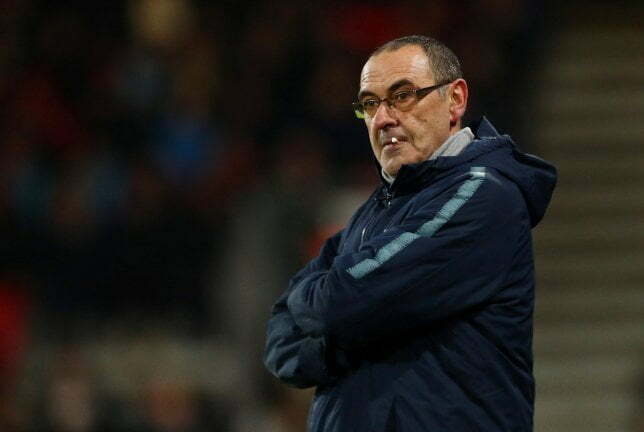 Chelsea manager, Maurizio Sarri has blamed his players for their 2-0 defeat to Manchester United in the FA Cup encounter played on Monday night. Goals from Ander Herrera and Paul Pogba ensured Ole Gunnar Solskjaer’s men defeated Maurizio Sarri’s side at Stamford Bridge. Sarri blamed his players for playing “confused” football against Ole Gunnar Solskjaer’s men. “I think that, with the result, we were unlucky,” Sarri was quoted by Metro UK as saying at post-match. “In the first half we played better than the opponent and, at the end of the first half, it was 2-0 to them. “Then in the second half, it was really very difficult to play because they are a really physical team and defended very low, compact. “So we played confused football in the second half. But, in the first half, we played well. Sarri’s men will tackle Malmo in the UEFA Europa League round of 32 second-leg tie on Thursday night.